According to Scottish Government data, there are some 223,000 EU citizens from 27 European Union countries living in Scotland (April 2019). 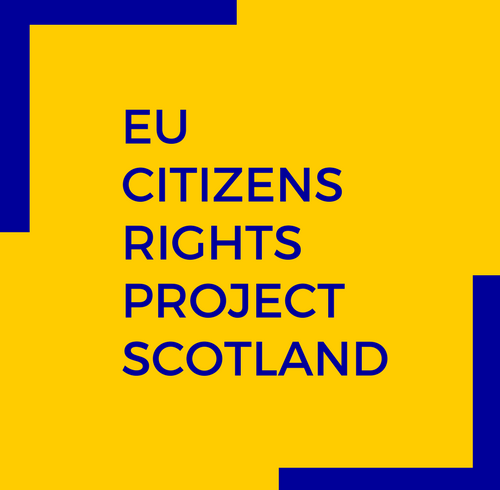 Our project aims to inform these EU nationals about opportunities available to them in Scotland, but also to promote awareness of their concerns and needs, especially those raised by the likelihood of Brexit. Who are the EU nationals in Scotland? Austria, Belgium, Bulgaria, Croatia, Cyprus, Czech Republic, Denmark, Estonia, Finland, France, Germany, Greece, Hungary, Italy, Ireland, Latvia, Lithuania, Luxembourg, Malta, the Netherlands, Poland, Portugal, Romania, Spain, Slovakia, Slovenia, Sweden. The majority of EU nationals in Scotland are from the nations who joined the EU after 2004. According to the government data, almost half of the EU nationals resident in Scotland are Polish. Their status and right to stay in the UK and Scotland are likely to change as the result of Brexit, which is supposed to take place in 2019. The aim of our project is to assist these EU nationals in accessing information and advice on citizens’ rights, and to encourage and facilitate their contacts with public sector and government organisations. We want to inform EU27 nationals about the opportunities available to them in Scotland, but also to promote awareness of their concerns and needs, especially those raised by the likelihood of Brexit. If you’d like to learn more about the EU Citizens’ rights before and after Brexit, you can read our factsheet or visit our resources page. You can find more statistics about the EU27 nationals in Scotland following this link to the Scottish parliament research on EU Nationals Living in Scotland. What about citizens of Switzerland, Norway, Iceland and Liechtenstein? Similar provisions have been made for them, so with some caution, information from this website may be applied to them as well.